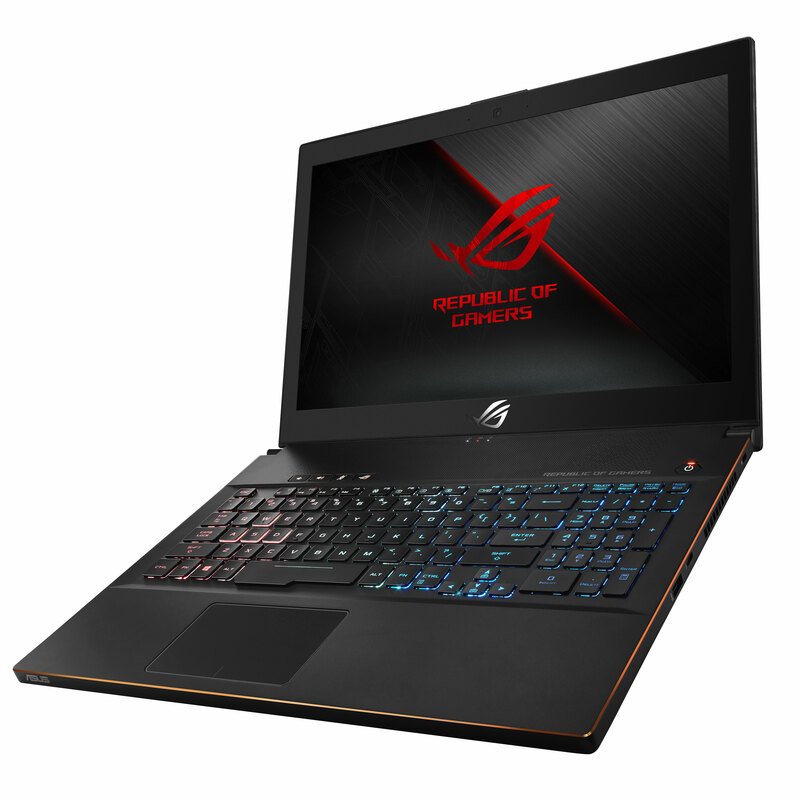 The Asus ROG Zephyrus M is the world’s slimmest gaming laptop that has an 8th-Gen Intel Core i7 processor and a Nvidia GTX 1070 graphics card. It comes with an IPS display with a 144Hz refresh rate, 3ms response time and Nvidia’s G-Sync technology. The device can be optioned with up to 16GB of RAM, 256GB SSD and a 1TB hard drive. The laptop has an Active Aerodynamic System that helps keep it cool and Asus has included some software that will switch between power-saving and discrete-GPU graphics modes. No pricing or release date has been announced for the ROG Zephyrus M just yet but it will be available from Canada Computers, Newegg, Memory Express and Staples. The ROG Huracan is a compact gaming desktop that has a magnetically secured side cover and is powered by the 8th-Gen Intel Core i7 processor and a Nvidia GTX 1080 graphics card. The design of the ROG Huracan is inspired by cyber warrior and cyberpunk themes and the side cover provides easy access to upgrade components. The ROG Huracan can be optioned with up to 32GB of RAM, a 512 SSD and a 2TB HDD with 2TB HDD with Intel Optane Memory technology also available. Intel’s Optane technology allows HDD to get SSD-like performance. There’s also Asus’ Aura lighting effect that can sync with other Aura peripherals. The desktop will be available in the next few months, no pricing was announced. 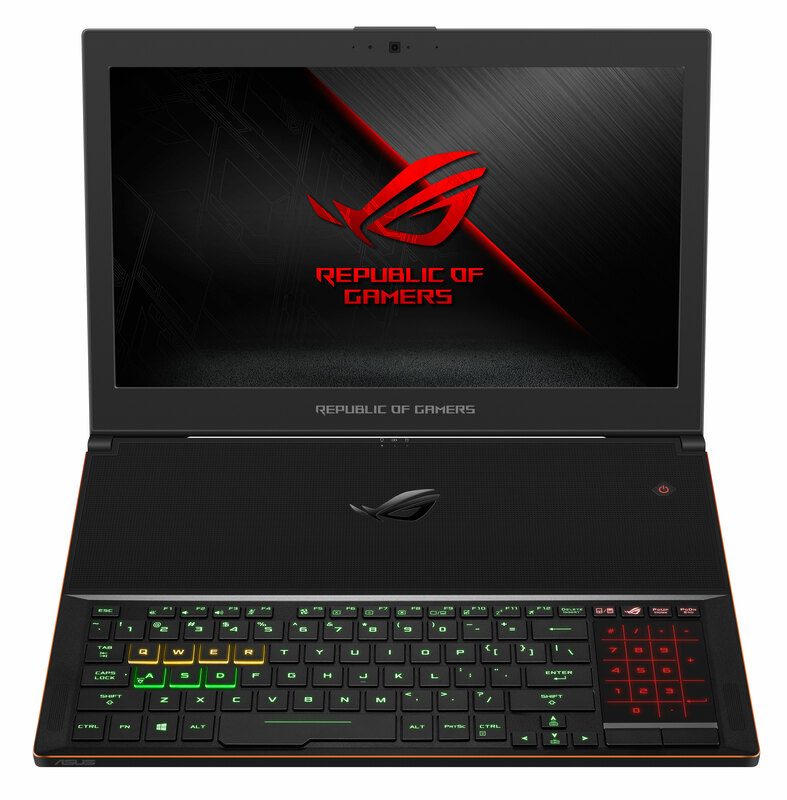 Asus has updated their ROG Zephyrus laptop with an 8th-Gen Intel Core i7 processor and Nvidia GTX 1080 graphics card. The laptop was introduced last year and was the world’s thinnest gaming laptop because it used Nvidia’s Max-Q technology. You can expect a 15.6-inch IPS display with 144Hz refresh rate and 3ms response time. There’s also Active Aerodynamic System and Aura Sync Lighting. The ROG Zephyrus comes with a USB-C port with Thunderbolt 3, HDMI 2.0 for G-Sync and 4K UHD display output. The ASUS Zephyrus (GX501GI) starts at $3,699 CAD and be available on April 16th. The ROG 703 can be optioned with the new 8th-Gen Intel Core i9 processor and Nvidia GTX 1080 graphics card. The laptop has a 17.3-inch Full HD IPS display with a 144Hz refresh rate and 3mm gray-to-gray response time. The ROG 703 also comes with HyperDrive Extreme storage which allows users to combine up to three NVMe PCIe 3.0×4 SSDs in a RAID 0 storage configuration with speeds up to 8700MB/s. The ROG 703 starts at $3,699 CAD and be available on April 16th. Asus also updated their ROG Strix Hero Edition with an 8th-Gen Intel Core i7, up to 32GB of RAM and Nvidia GTX 1050Ti graphics card. The laptop has a 15.6-inch display with a 120Hz refresh rate and wide-view technology. The ROG Strix Hero Edition is meant for e-sports and MOBAs. 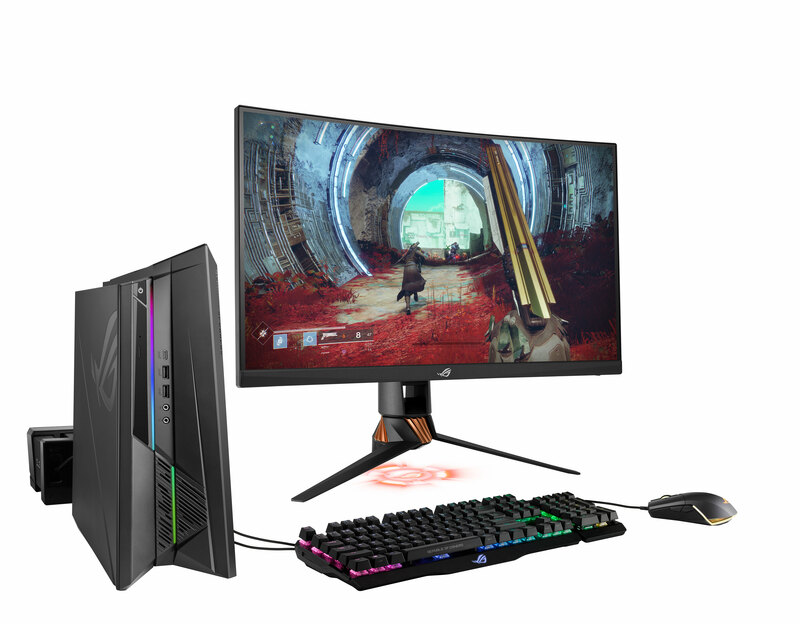 The ROG Strix Hero Edition starts at $1,399 CAD and be available on April 16th. Asus also updated their ROG Strix Scar Edition with an 8th-Gen Intel Core i7, up to 32GB of RAM and Nvidia GTX 1050Ti graphics card. The laptop is aimed at gamers who like to play first-person shooters like Counter-Strike, Overwatch and Team Fortress 2. 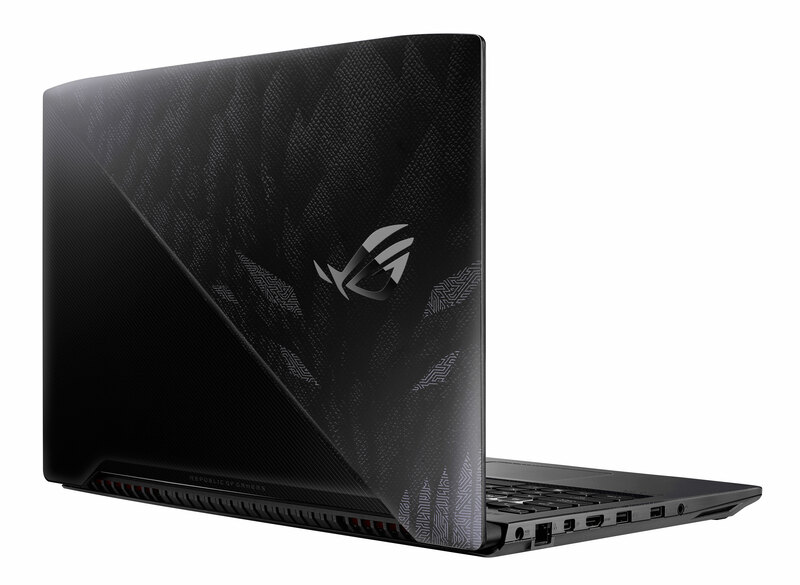 The ROG Strix Scar Edition starts at $1,699 CAD and will be available on April 16th. 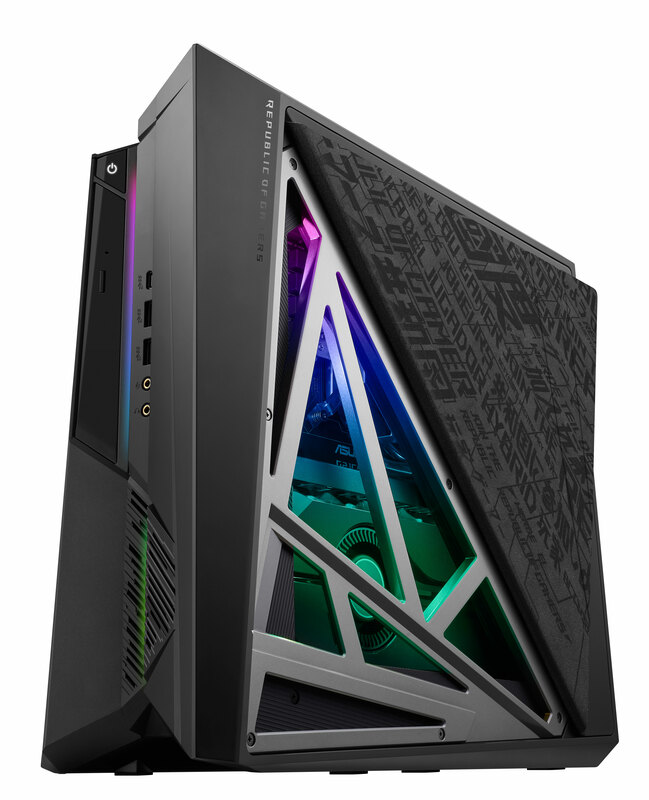 Asus also announced the ROG Strix GL12 which is a gaming desktop that’s powered by the 8th-Gen Intel Core i7 processor and a Nvidia GTX 1070 graphics card. The desktop has a e-sports ready hot-swap bay for a 2.5-inch SSD that allows gamers to remove and replace their drive without needing to shut their system down. 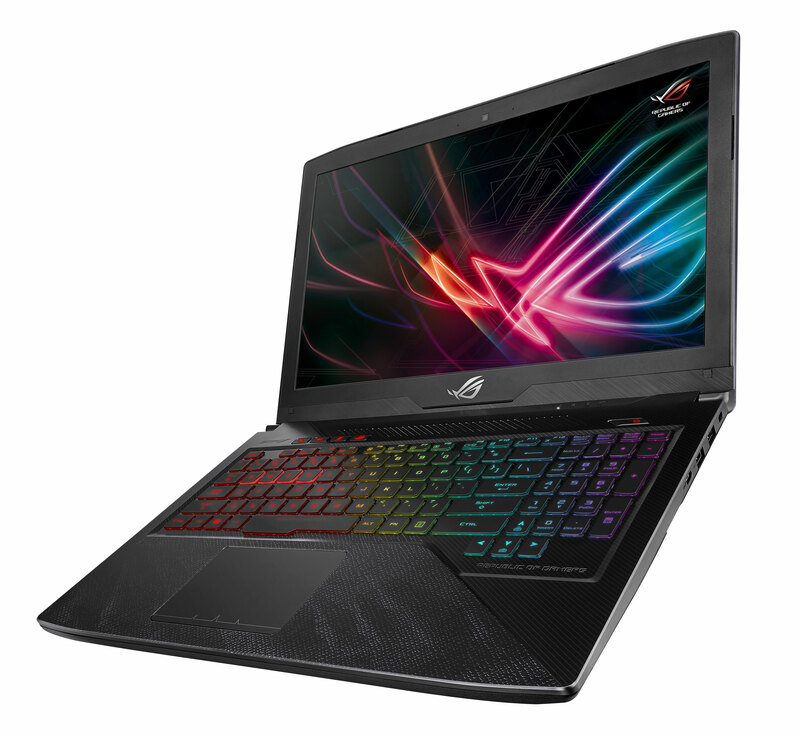 The ROG Strix GL12 will be available on April 24th, no pricing has been announced.